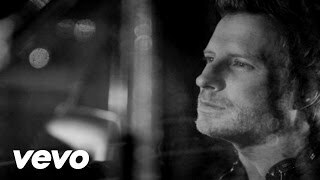 Frederick Dierks Bentley (born November 20, 1975), known professionally as Dierks Bentley, is an American singer and songwriter who has been signed to Capitol Nashville since 2003. That year, he released his self-titled debut album. Both it and its follow-up, 2005’s Modern Day Drifter, are certified platinum in the United States. A third album, 2006’s Long Trip Alone, is certified gold. It was followed in mid-2008 by a greatest hits package. His fourth album, Feel That Fire was released in February 2009. A bluegrass studio album, Up on the Ridge, was released on June 8, 2010, and then a sixth album, Home, followed in February 2012, as did a seventh one, Riser, in 2014. Bentley’s studio albums have accounted for eighteen singles on the country singles chart, of which thirteen have reached No. 1: his debut single “What Was I Thinkin'”, as well as “Come a Little Closer”, “Settle for a Slowdown”, “Every Mile a Memory”, “Free and Easy (Down the Road I Go)”, “Feel That Fire”, “Sideways”, “Am I the Only One”, “Home”, “5-1-5-0″, “I Hold On”, “Drunk on a Plane” and “Say You Do”. Four more of his singles have reached the top 5. Bentley’s latest release, a new 13 track studio album titled Black will be released May 27, 2016. Bentley was born on November 20, 1975 in Phoenix as the son of Leon Fife Bentley (August 16, 1923 – June 1, 2012) a bank vice-president, and Catherine Childs. His father was born in Glasgow, Missouri, to Richard Thomas and Mary Cecile Fife Bentley, and was a First Lieutenant in World War II. 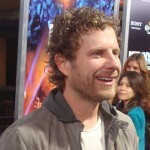 His middle name, Dierks (which he now uses as his first name publicly), is also his maternal great-grandmother’s surname. He attended Culver Academies and graduated from The Lawrenceville School in 1993. Afterward, he spent a year at the University of Vermont before transferring to Vanderbilt University in Nashville, Tennessee, where he graduated in 1997. He was initiated into the Sigma Alpha Epsilon fraternity while he was at Vermont. Bentley worked at The Nashville Network (now Spike TV), researching old footage of country performances. In 2003, Capitol Nashville released Bentley’s self-titled debut album. The album’s first single, “What Was I Thinkin’,” reached number one on the Billboard Hot Country Songs charts later that year. The next two singles from that album, “My Last Name” and “How Am I Doin’,” reached No. 17 and No. 4, respectively.The album was certified Platinum by the RIAA. Bentley’s second Capitol album, Modern Day Drifter, was released in 2005. It spawned two number one singles, “Settle for a Slowdown” and “Come a Little Closer,” and the top 5 hit, “Lot of Leavin’ Left to Do.” The album was also certified platinum. On June 10, 2006, Bentley released his third album, Long Trip Alone. The album produced two No. 1 hits, “Every Mile a Memory” in 2006 and “Free and Easy (Down the Road I Go)” in 2007. The title track reached No. 10 on the country charts. The fourth single from the album, “Trying to Stop Your Leaving,” peaked at No. 5. In a March 2008 interview, Bentley said he would let his fans be the executive producers of his first greatest hits album, Greatest Hits/Every Mile a Memory 2003–2008. The album was released on May 6, 2008. An album cut, “Sweet & Wild,” reached No. 51 on the Hot Country Songs chart. The song was an uncredited duet with fellow country singer Sarah Buxton. Bentley’s fourth  studio album, Feel That Fire, was released in February 2009. Its title track, co-written by Brett Beavers and The Warren Brothers, reached top 40 in October 2008 and became his sixth number one in February 2009. The second single from the album, “Sideways,” was released on March 2, 2009 and went on to become his seventh number one in the summer of 2009. The album’s third and final single, “I Wanna Make You Close Your Eyes,” was released on September 13, and peaked at No. 2. Bentley released his sixth studio album, Up on the Ridge, on June 8, 2010. The title track was released to iTunes on April 20, 2010. The song peaked at No. 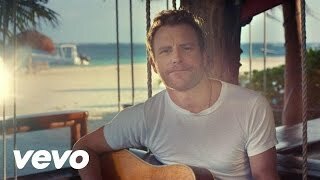 21 on the Billboard Hot Country Songs chart and became Bentley’s first single to miss the top 10 since “My Last Name.” The album’s second single, “Draw Me a Map,” was released to radio on August 23, 2010 and peaked at No. 33. On August 21, 2012, Bentley released the Country & Cold Cans EP on iTunes. It includes five songs, including a radio edit of the track “Tip It On Back” from his album Home. Bentley paid for the studio time to record the EP himself. On October 23, Bentley and Miranda Lambert announced the co-headlined 33-show Locked and Reloaded Tour, that began on January 17, 2013. Bentley’s eighth album, Riser, was released on February 25, 2014. The album’s first single, “Bourbon in Kentucky”, was released to country radio on June 10, 2013. It peaked at number 45 on the Billboard Country Airplay chart, becoming Bentley’s lowest charting single to date. The album’s second single, “I Hold On”, was released on August 26, 2013. It became his first number one on the Country Airplay chart in April 2014 and also his eleventh overall to do so. The third single, “Drunk on a Plane”, followed that same month. It reached number one on Country Airplay in August 2014 and was also a strong commercial hit, reaching number 27 on the Billboard Hot 100. The album’s fourth single, “Say You Do”, was released on October 6, 2014. 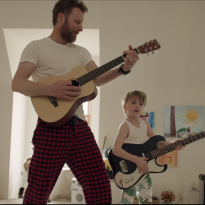 It reached at number one on Country Airplay in May 2015. The title track became the album’s fifth single in June 2015. 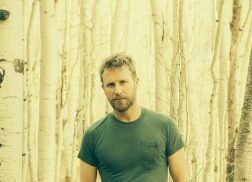 Bentley along with Eric Paslay are featured on Charles Kelley’s debut solo single, “The Driver” which was released on September 28, 2015. The song received a Grammy nomination for Best Country Duo/Group Performance for the 58th Annual Grammy Awards. Bentley will release his ninth album, Black, On May 27, 2016. 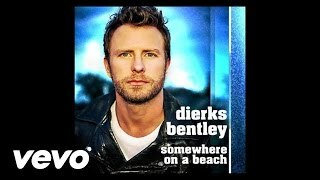 The album’s first single, “Somewhere on a Beach”, was released on January 25, 2016. Bentley married Cassidy Black on December 17, 2005, in Mexico. They live in Nashville, with their dogs Jake (who has appeared in a few of Dierks’ videos) and George. The couple welcomed their first child, Evelyn Day Bentley (nicknamed “Evie”), on October 4, 2008. Evie makes a vocal appearance on the song “Thinking of You.” Their second daughter, Jordan Catherine Bentley, was born December 25, 2010. Their son Knox was born on October 9, 2013. 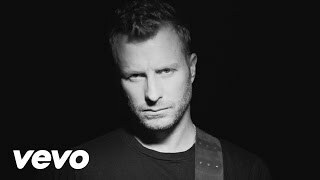 This article uses material from the Wikipedia article "Dierks Bentley", which is released under the Creative Commons Attribution-Share-Alike License 3.0. 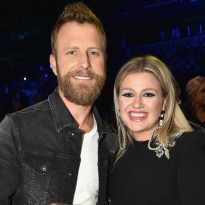 The country star shared his feelings on his ACM nominations as well as the singles that have come off his latest record. This night is going to be EPIC! Set your calendar reminders for Sunday, April 7 to see the ACM Awards!